Cantitatea minima pentru "Tankala Jointed 13cm/23.5gr" este 1. 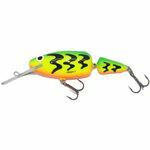 The 2-sectioned body of the Tankala big fish plug features an exciting action and imitates an escaping prey fish in a perfect way. The highly active floating tail section creates energetic vortices, which seduce almost every predator. 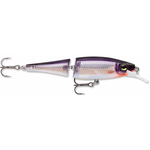 Regardless, if you retrieve the Tankala at slow speed or very quickly, with constant or varying velocity, twitching or jerkbaiting – its action always is controlled and predictable. The Tankala floats and dives up to 3.0m, at trolling to approx. 4.0m. Equipped with CGS hooks, made by VMC.